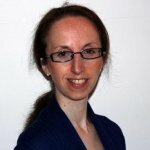 Nikki specialises in facilitation, mentoring, advice and analysis of business, financial and operational plans, project implementation and monitoring and evaluation. She has particular expertise in grant making and social investment and working with start-up and growth stage social enterprises and small businesses. She is a qualified Chartered Accountant. Nikki’s most significant recent project for Eastside Primetimers is acting as Programme Manager for 33 projects being delivered under the Local Sustainability Fund. Nikki sits on the Boards of Cotman Housing Association and St Giles-in-the-Fields and William Shelton Educational Charity and is an active Fellow of the RSA.